I fell in love with this dress as soon as I tried it on. I originally went dress shopping with my friend for her wedding which was 3 months before mine, and I just tried it on for fun but couldn’t get it out of my head. It was way over my budget so I went to different stores to try other dresses hoping to find something similar, but I knew I would not be satisfied if I didn’t get this dress. I didn’t want to go with the traditional ball gown style so this was perfect for me. It’s simple and clean, but elegant and feminine. I felt very pretty in this dress and it has beautiful beadings which gives a great sparkle to it. The train of the dress is gorgeous and looks amazing in photos. I wore it to the reception as well, but had it up in the bustle for most of the night. I wanted to keep the dress in good condition as much as I can so I pretty much held up the dress while walking around the entire day/night. It comes with a silk slip underneath. 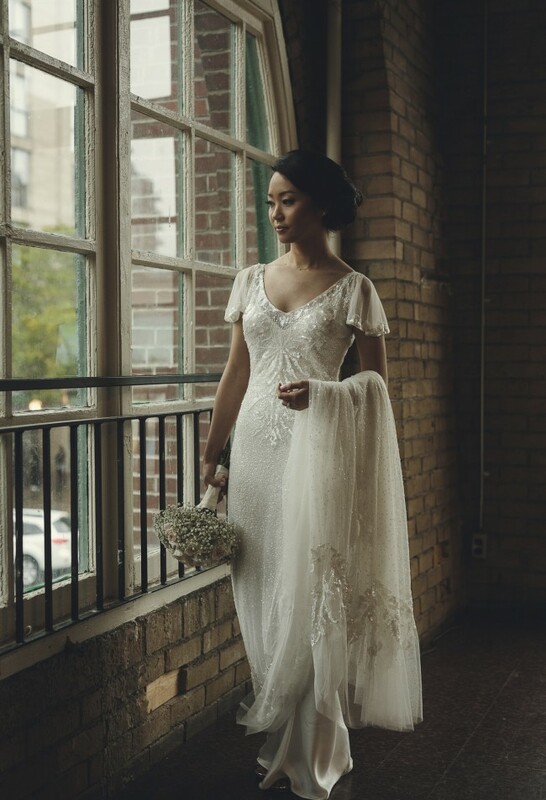 I paid $3100 (Canadian) excluding alterations. Because I loved this dress so much I didn’t want to sell it, but I’d hate for it to be stuck in my closet and would love for someone to love it as much as I did for their wedding! Please feel free to contact me for more details and pictures! There are no damages to the dress. It is in excellent condition. I've gotten the length of the dress shortened a bit. The original bottom of the dress was quite long to be able to alter, and did not have any hems to it or anything, just a raw edge just like the original. The shoulder had been taken in a little because the neckline was really low but the alterations are flawless and you wouldn't even know it was done. I also had the waist and hips taken in as well. 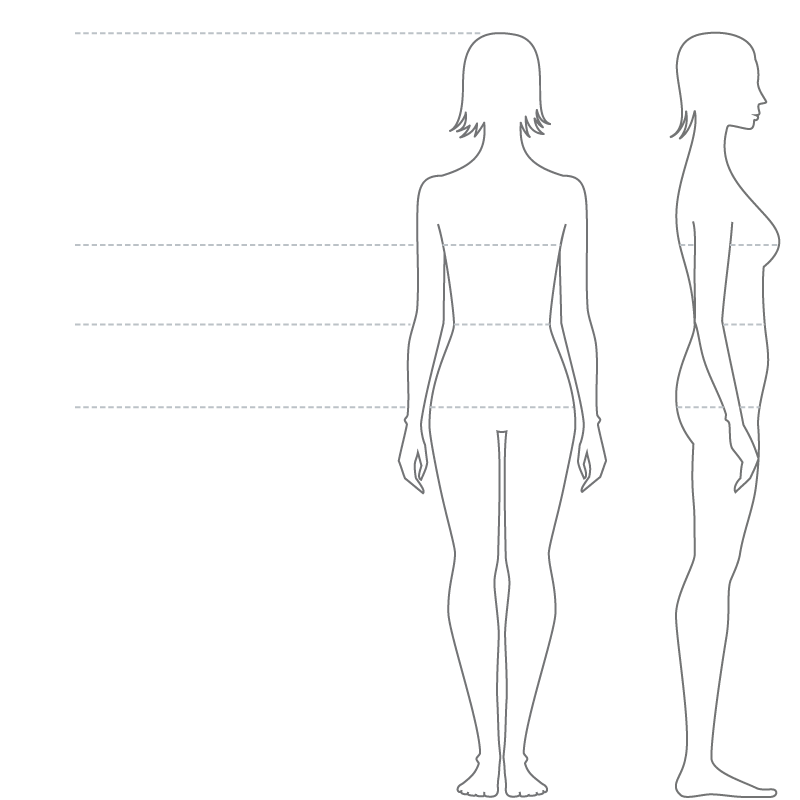 I am about 5'3" and I am usually a size xs/0-2. This material is a bit stretchy so could fit up to a 4, I would say. I did have more room to take in if I wanted to but didn't want to alter the dress too much. I would've liked to go with a size 4 instead of a 6, but the salesperson recommended going with the 6 based on my measurements. Bra cups were added to the slip inside but can easily be taken out. I've also gotten a bustle added to the dress. Once you send a message, Jina can invite you to purchase the dress.